The Antigua Barbuda Sport Fishing Association is a lively, vibrant crowd of fisherman who fish for the pure enjoyment of it, and once back on land, love to party. The Annual Sport Fishing Tournament which take places during May or June each year at Whitsun, starts with a launch party a few weeks prior to the event, followed by a Friday evening Captain’s Briefing, two days of fishing, and the final tournament award launch on Bank Holiday Monday. 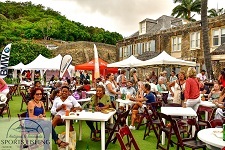 Even if you are not a fisherman, this is one of the most enjoyable social events on the year’s calendar in Antigua. 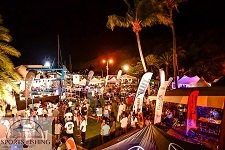 The drink sponsors – Carib Beer, Cavalier Rum, Bailey’s, Smirnoff and Johnny Walker make sure drinks are plentiful and cheap, and Chickie’s Hi-Fi keeps the party going as long as you can last. 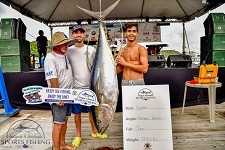 Cash prizes and trophies are awarded to the most successful individual fishermen and women and boats during the tournament prize giving lunch. Doc Fuller’s Best in the West one day tournament happens each November, and is a competitive one day event based from Jolly Harbour. 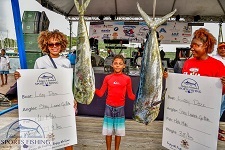 The Francis Nunes Jr. Memorial One Day Fishing Tournament is held in Nelson's Dockyard. To find out more about the Club and the tournaments, please visit our website.